This perfect white peony was the last left on the bush at my recent trip to Maryholme Retreat Center, Roches Point, Ontario. 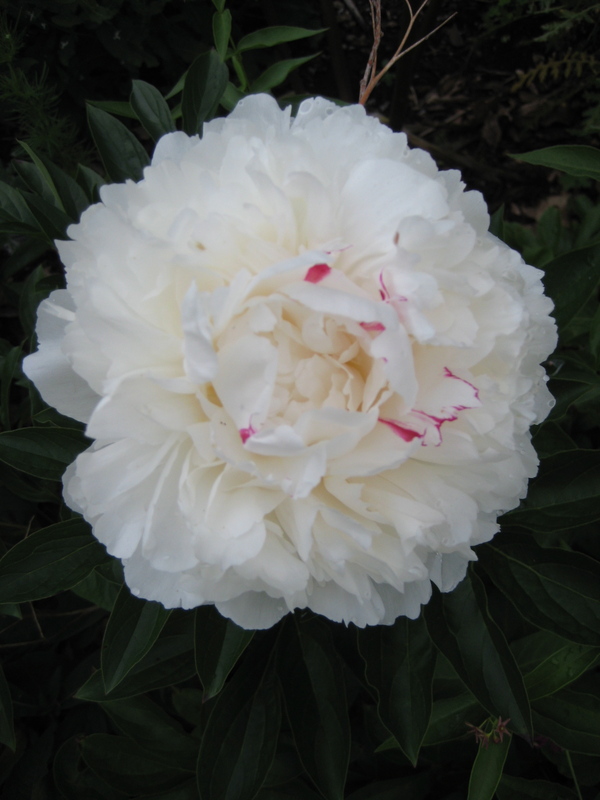 As a flower essence, the Peony speaks to us of abundance. People are now teaching and learning the art, & science, of conscious creation of abundance. Money and income is still a primary focus point for many, often a point of great stress. Given the level of understanding many possess after untold hours of tapes, seminars and/or books, one might expect we might be struggling with how to spend it all! Yet many still feel a lack, and some others have achieved a high level of financial well being, yet possess little happiness or sense of contentment. Thank you for tapping right into the core and sharing this blessing and way out of the global stress I still pick up on. FYI – have manifested regular income and great car with great guidance, synchronicites and blessings. Thinking of you with gratitude for the blessings you showed to me, regardless of our parting. Be well, blessings on your journey. Had the best bodywork ever on Monday by Carol Phenan, and understand even clearer now the importance of “disruption” and healing of membranes in general through healing of my lungs, from the impact of a horse stepping on my ribcage when I was only 13,14 years old! You would love her work and sweet bright personality. All the best to you. Will you come back to Maui?